Band was formed in Tampere, Finland in 1995, and they worked under the name WITHERED GARDEN until spring 2004. During this time five demos were released. Two members from the original lineup are still playing in the band. 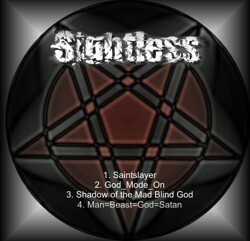 SIGHTLESS was born, when two talented young musicians joined the chain of three older members, that had played together for years. New lineup enabled the use of the whole potential of the band, and the style of their music changed to straightforward, determined and ferocious death metal with elements from thrash- and black metal. 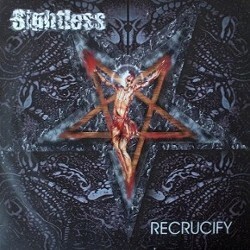 Within it's first year of existence, SIGHTLESS released two promo CD's that soon made the band recognizable in the Finnish metal scene due to the mass of the positive feedback.